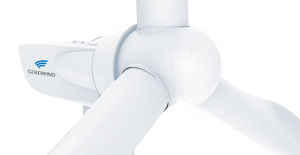 Goldwind’s versatile 1.5MW turbine platform requires fewer components, reduces wear and carries a higher energy yield compared to high-maintenance gear units – further proof of its lifetime reliability and superior power quality. Greater flexibility, increased output. To further satisfy the needs of our customers, we have developed specialised wind turbine solutions adapted to function in diverse operating conditions including low temperatures, high temperatures and high altitude.